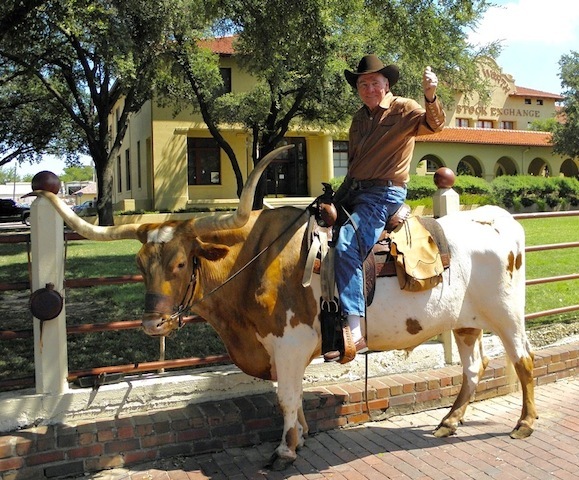 The twice-daily cattle drives through the Fort Worth Stockyards are enough to take a Longhorn lovers breathe away. The idea to that became the Texas Longhorn Breeders Association of America took hold during the 1964 Wildlife Refuge auction of surplus Texas Longhorns. Fifty years later, the seed stock for many outstanding Texas Longhorns traces back to the WR herd. Each September the refuge auctions surplus animals to the public. Descendants of the Texas Longhorn herd J. Frank Dobie helped amass still roam Fort Griffin State Historic Site. The cattle bear a star brand, and many have been blood-tested to qualify for the Cattlemen’s Texas Longhorn registry. Visit Fort Griffin during the last two weekends of June to see Longhorns take center stage in the Fort Griffin Fundangle. Fort Griffin shares parts of the herd, so you also may find Longhorns at other state parks such as in Palo Dura and San Angelo. A small herd of Texas Longhorns came with the land when the state of Texas purchased the Diamond D Cattle Company in 1988. In 2000 part of the Texas Longhorn herd at Fort Niobrara National Wildlife Refuge relocated to Fort Robinson State Park. Annual auctions are held in Crawford in the fall. Each September the American Paint Horse Association stages a trail drive with the Longhorn herd.